A complete Windsurfing Rental consists of 1-Board 2-Sails 1-Mast 1-Boom 1-Base + Extention. We rent only top quality Gear from only the BEST brands in the business- Simmer Style Boards, Ezzy or Simmer Sails & Masts, and Simmer Style or Chinook Booms and Bases. Our motto here at Fox is if we wouldn't go sail it why should we rent it to you, so we spare no expense in providing top quality rental gear at a GREAT price. 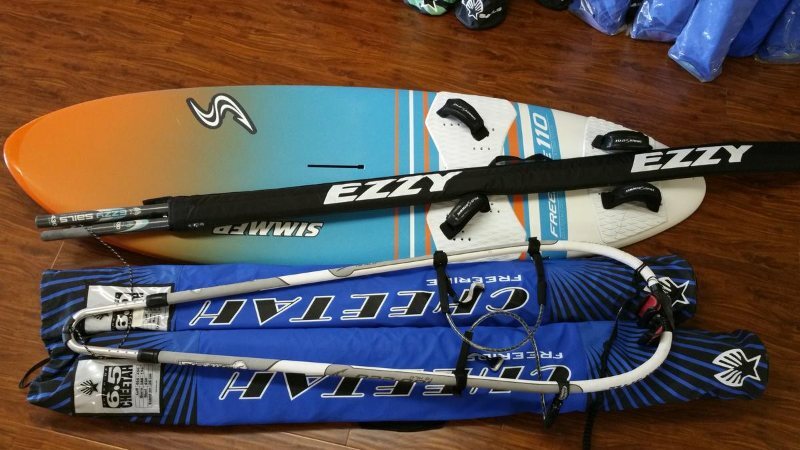 We also do board or sail only or rig packages as well so please contact us if you want to customize your own rental gear.